Art, music, food & fun for the whole family! Everyone is invited to join the fun at the Downtown Block Party, an outdoor festival of arts and culture on Saturday, September 16, 12-5pm on 2nd Street between Lead and Coal Avenues in Downtown Albuquerque. Admission is free and families are encouraged to attend. The Downtown Block Party is at this location for the second year. It became a tradition starting in 2012 established by 516 ARTS where it was held for several years on Central Avenue. The annual Downtown Block Party is unique in its particular emphasis on arts programming and collaboration among arts organizations. This year’s line-up includes programming from 516 ARTS, Axle Contemporary, The Orpheum Arts Space, Rock 101, The Sanitary Tortilla Factory and Warehouse 508. Check out music by local musicians including the teen girl band Hiss with Rock 101 and Space Blanket with Warehouse 508. Shop local crafts and artisan products presented by Moonlight Market. And enjoy craft beer and cider, food trucks, and a variety of games including pool tables, badminton and pinball. 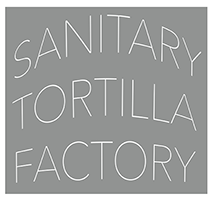 This year, The Sanitary Tortilla Factory and Sidetrack Brewing are the lead presenters of the Downtown Block Party, in partnership with 516 ARTS, Downtown Albuquerque MainStreet /Downtown Arts & Cultural District and the following businesses: Tractor Brewing Company, A Good Sign, HomeWise and Gertrude Zachary.